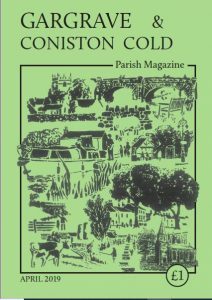 The current issue of Gargrave and Coniston Cold Parish Magazine is now ready for you to read. on the front cover image (adjacent or below) to view the PDF. Previous issues can be accessed via the Archives tab along the top of the webpage. You will need Adobe® Reader to view these documents. Don’t haveAdobe Reader? Click here to get it.